I have always been intrigued by the intros that death metal bands use on their albums. Throughout the history of the genre, beginning in the mid-1990s, an album intro has become an almost standard feature to introduce the listener to the brutal, horrific atmosphere of the forty-or-so minutes that are about to follow. They pull you into a musical narrative of pain, fear and suffering. Lots of suffering. Hence the screams, the rattling of chains, the death bells, the low-toned and deep drones, the satanic voices, the sound of wind and of raging storms, the pompous synths and the samples out of old horror movies. Sometimes there’s a relationship with the album’s content or with its title. A clear example of this is Bolt Thrower’s intro to “Realm of Chaos” which serves as the beginning of a tale of a total war between worlds. For “Necroticism – Descanting the Insalubrious”, Carcass put in an intro that is part of an array of short fragments that also function as intermezzos, thereby creating a certain coherence on that album. Often, bands also created instrumentals as intros like Unleashed did for their “Where No Life Ends”. 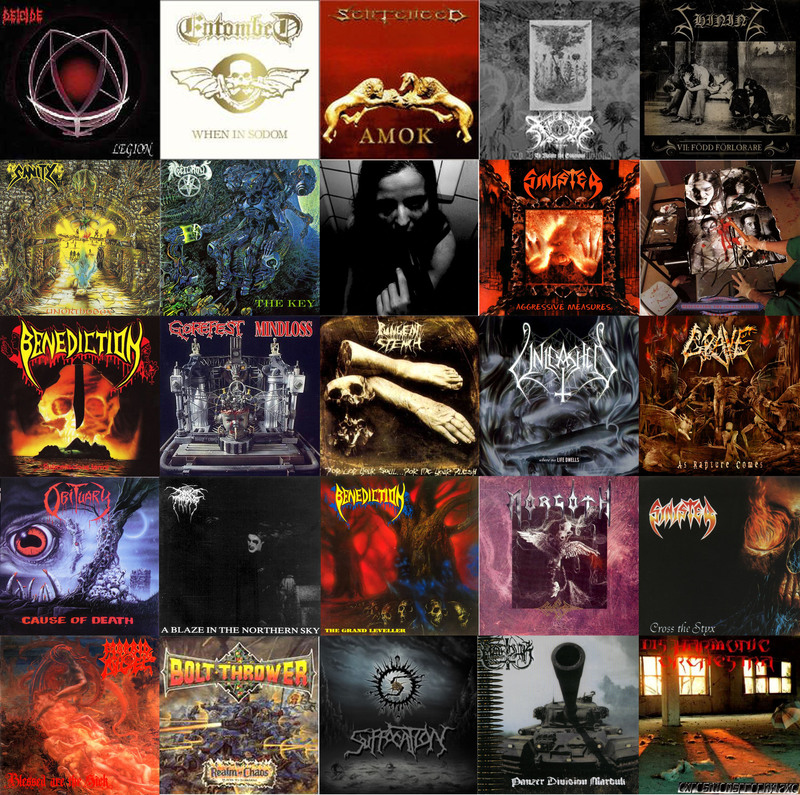 So I started assembling quite a few death metal intros and ultimately made a mix of them, as a kind of homage. You can find the result below.